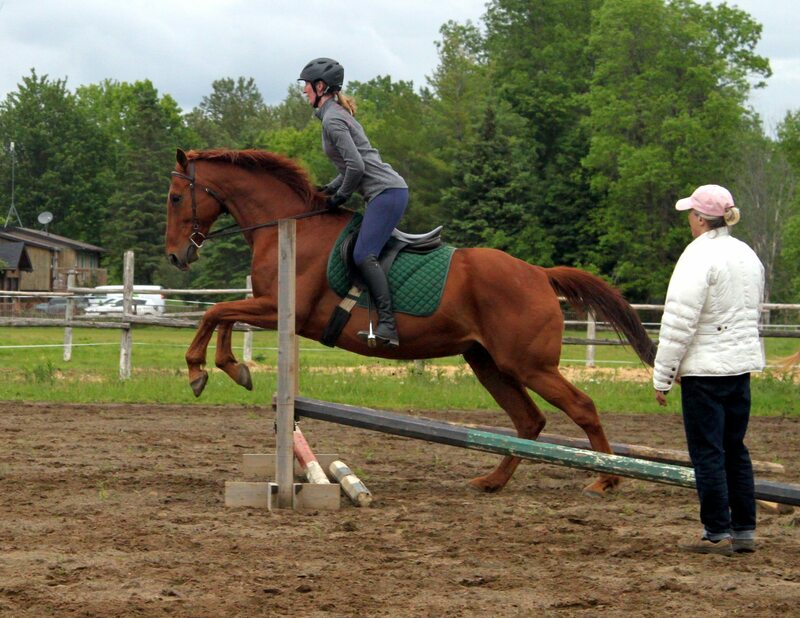 Kindred Farm Rescue, a haven in North Gower for horses and ponies marked for slaughter, will be holding a free dressage event to showcase volunteers and rescue horses on Saturday May 7 at 11:30 am in advance of the Ottawa Dressage Festival in May. In four years, they’ve saved over 200 horses. While some have been re-homed, owner Tanya Boyd offers a place on her farm for those left behind. “It’s a sickness, this horse love,” she said, laughing. The first rescue ponies that she bought off Facebook were nicknamed the “Oh No” ponies. “Everybody said to me, ‘Oh no, you’ve got ponies,’ because ponies are well known for being bad. ‘All ponies are bad’, tongue in cheek,” she explained. The name stuck. A retired federal public servant and equine coach for almost 30 years, Boyd got her first horse when she was 15. She’s had the North Gower farm south of Ottawa for more than 20 years, but it used to be a riding and boarding enterprise. She took a two-year break to try her hand at being a “real” retiree, but bored and restless, she bought her first three rescue ponies on Facebook. That would be four years ago this spring, and marked the beginning of Kindred Farm Rescue and Boyd’s knowledge of the Canadian horse slaughter industry. Unlike more docile livestock like cattle, she explained, horses are more sensitive and often high-strung, prone to rearing in the slaughter chute. Their less-tractable nature makes it difficult to kill them swiftly and painlessly. According to the Canadian Food Inspection Agency, more than 68,000 horses were slaughtered in 2015. Overbreeding, the expense of owning a horse, lack of government funding, and children tired of their animal pals have created a glut of old and young horses alike at auction that inevitably get purchased by “kill buyers”, Boyd said. She purchases her rescue horses now from those marked for slaughter by a local Ottawa buyer who lists the animals for a short time in the hope of rescue. They have 23 rescue horses on the farm right now. 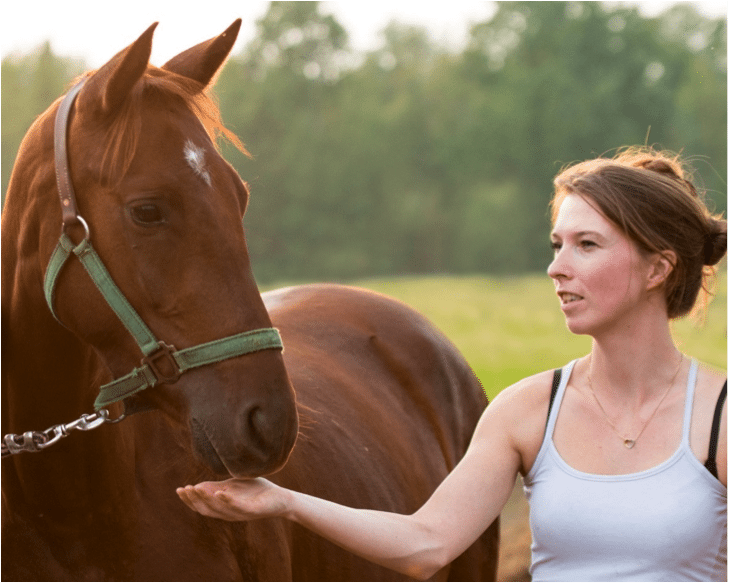 When the farm takes in horses, the goal is to rehabilitate and re-home these animals. But it is an expensive enterprise to feed, board and train the horses. Boyd said that generous donations of money, time, materials and fundraisers help the farm stay afloat. “Some of the volunteers here fall so much in love with their charges that they purchase them,” she said. The farm likes to do free clinics on a regular basis to help educate their volunteers and the public. The event this Saturday will focus on how to ride a dressage test, Boyd’s personal passion. The event will start after chores, and will run from 12 to 3 p.m.
“It’s a passion, just like being a musician is a passion. You can no more control being a musician and your love of music than you can your love of horses,” she said. If you’re interested in volunteering or learning more about the farm, contact Kindred Farm Rescue.